Aug.11 – The Italian tyre maker Pirelli planning qualifying tyre pick to 2012 F1. Pirelli wants to get teams feedback, if they don’t want to do it, we won’t do it. 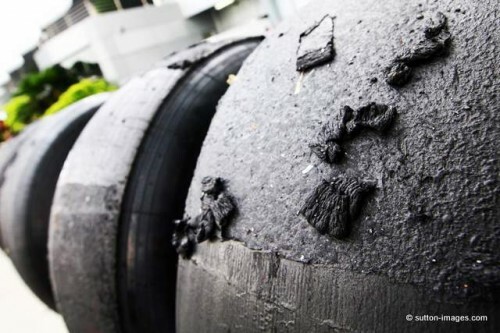 The low grip qualifying compound vanished from grand prix racing following the 1991 season, when both Pirelli and Goodyear supplied the field with very grippy rubber that performed at its peak during a single flying lap. Pirelli Motorsport director Paul Hembery told Autosport that the Italian tyre maker has presented the teams to bring the tyres back next year and was waiting for their thoughts about the idea.